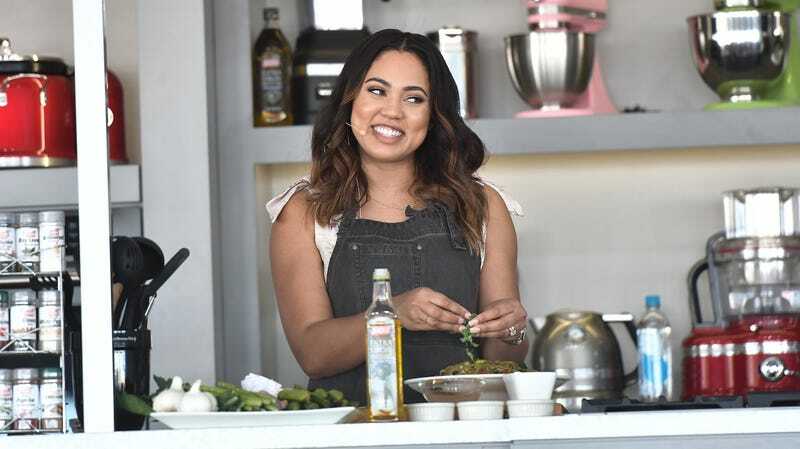 Celebrity chef Ayesha Curry, wife of the Golden State Warriors’ Steph, is opening a second location in Houston this July for her and Michael Mina’s BBQ restaurant International Smoke. For Curry, the new location must represent a good opportunity to expand her business. But if you’re a Rockets fan still bitter that the Chris Paul injury robbed your favorite NBA team of even a plausible shot at a championship, this restaurant is a chance for some extremely petty attempts at revenge. While it’s kind of weird that you can even post Yelp reviews for a restaurant that hasn’t opened yet, the International Smoke page is now in “active cleanup” thanks to a flood of angry Rockets fans who use a lot of all caps. There’s a meme of Steph getting murdered with a sword by LeBron. There’s a calm review that says the word “trash” 15 times. There are a lot of snake references. The owners are basically the devil. Was bitten by horse they keep out back. Staff said his name is Draymond Green....wont be returning. This establishment is just a publicity stunt by Ayesha Curry to troll on Houston and it’s culture. Everything, and I mean EVERYTHING, has a strange snake taste to it. All the employees are Filipino 1st of all. Any real rockets fans will NEVER step foot into this place. Disgusting. This is the most arrogant thing I could imagine someone doing. How dare you bring trash BBQ to Texas. Reading these reviews makes me glad I’m not a warriors fan (and being that I’m not a 12 year old know-nothing, a tech douche, or a bandwagon jumper, it was never an option). her husband cheated his way to a championship and now she has the guts to open up a place here?? I’ve lost all respect sorry this is absolutely rigged for money... Or ratings in not sure which. I won’t be silent. Just saw it live sry. This place taste like Steph’s salty tears. If you eat here you have to watch Steph do his shimmy dance and eat ourdervs out of a dirty mouthpiece. But since the Rockets fans’ reviews have started to gain notice, Warriors fans have responded with their own five-star reviews, fighting back against the rival fan base on the still-unopened restaurant’s review page with things like Bible verses and posts that read like Trump tweets. This is the internet now.